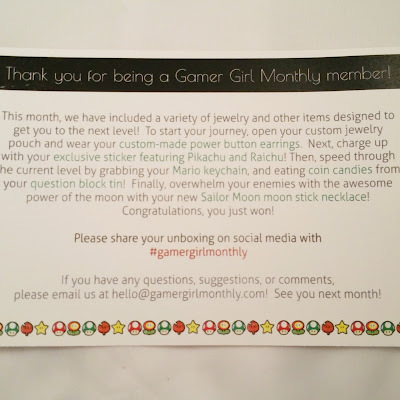 What is Gamer Girl Monthly? : Gamer Girl Monthly is a new subscription for gamers of all kinds! Each month has a theme and the pieces follow the theme. Each box contains three boxes of jewelry, a custom jewelry pouch, an exclusive GGM pin, and a mystery item! 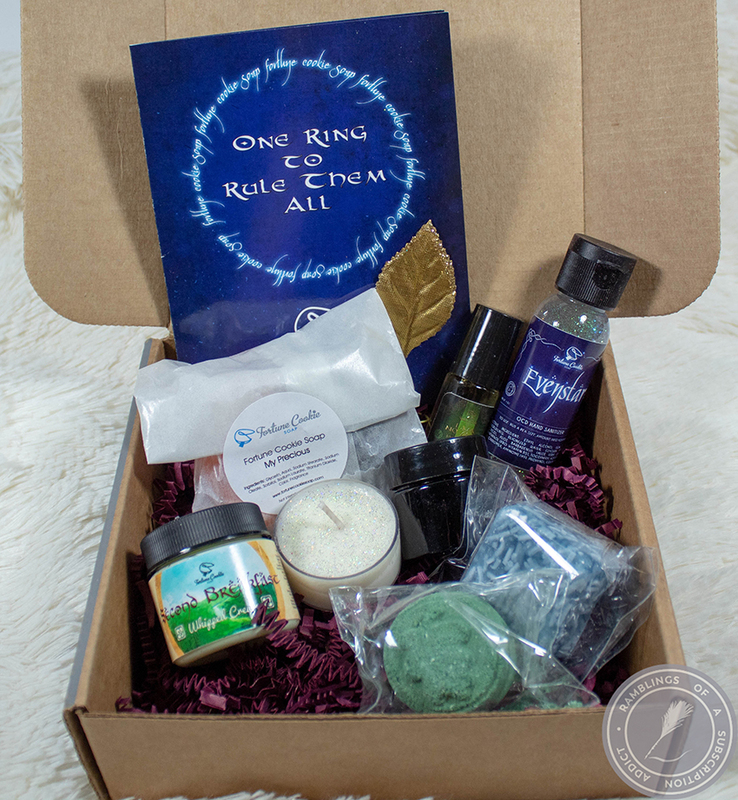 There's 16 more days to get in for the August box, so make sure you subscribe now! 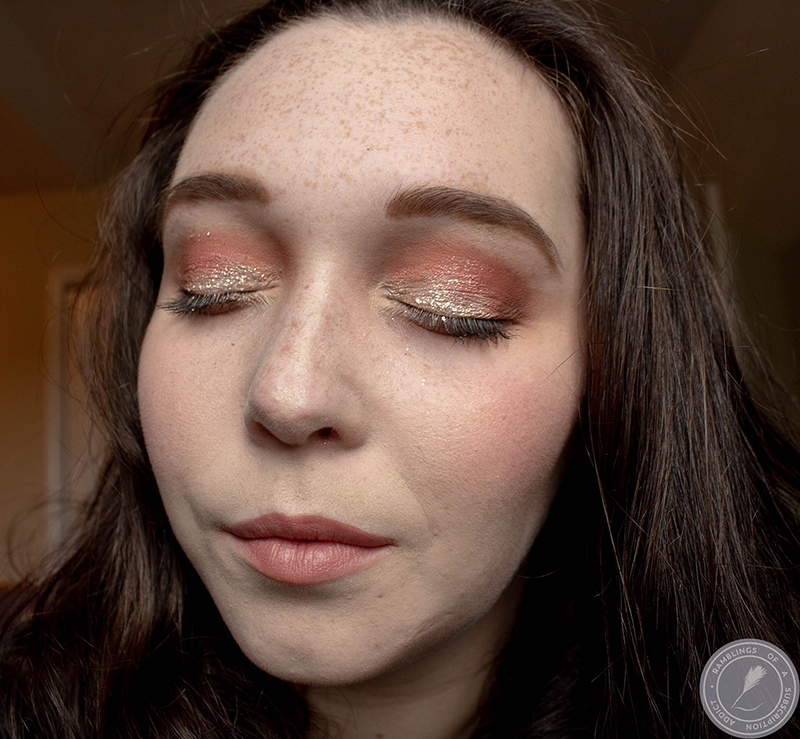 Next month's theme is below! 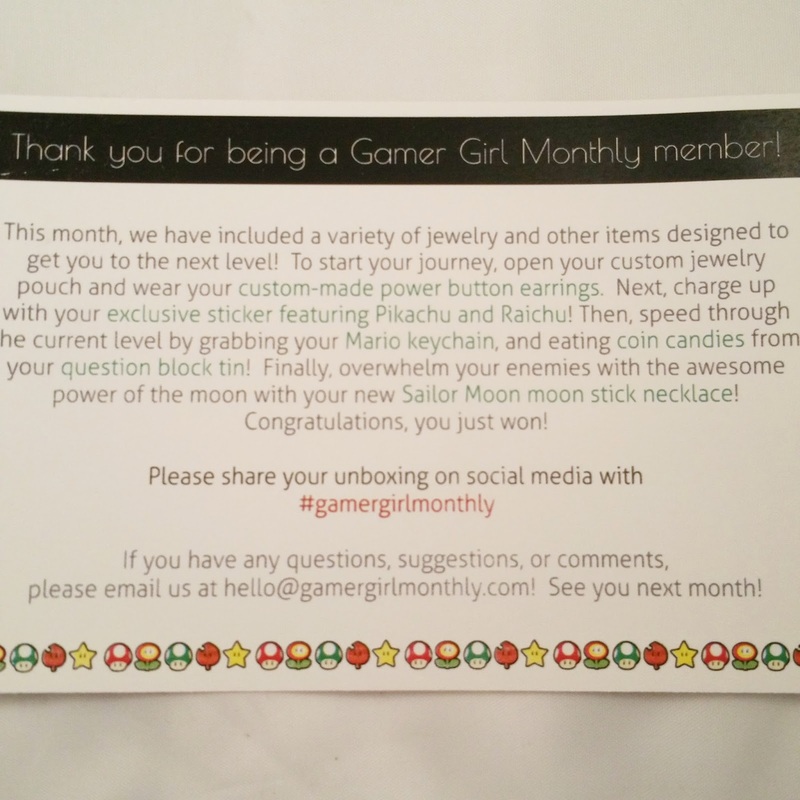 How Much is Gamer Girl Monthly? 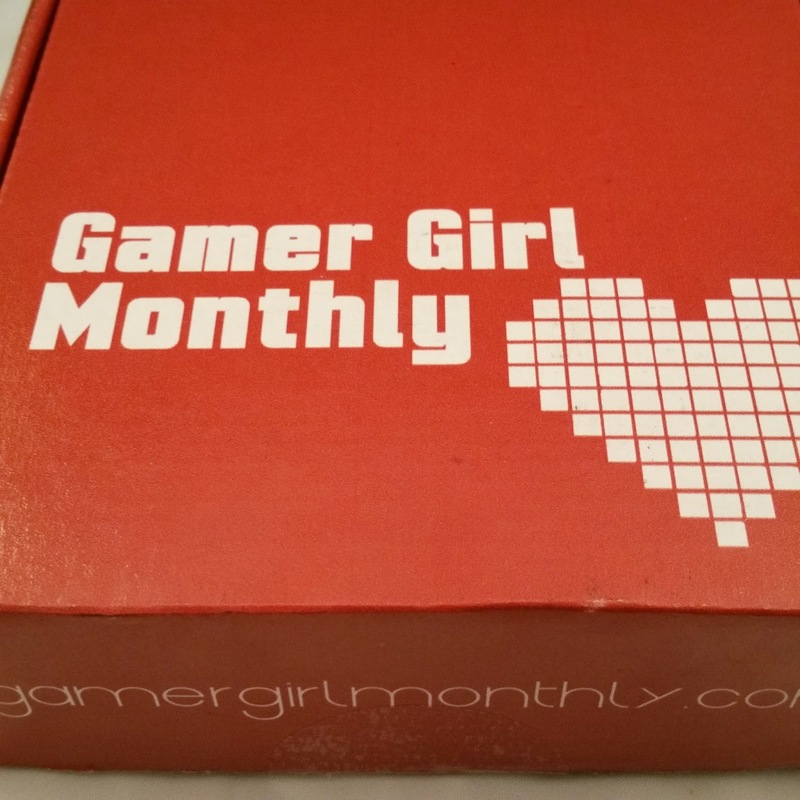 : Gamer Girl Monthly is $13/month plus shipping ($3.99 for US, $6.99 for Canada, and $13.99 for international). This month's box was smaller, but definitely nicer looking. It looks so professional and felt super nice as soon as I got it. 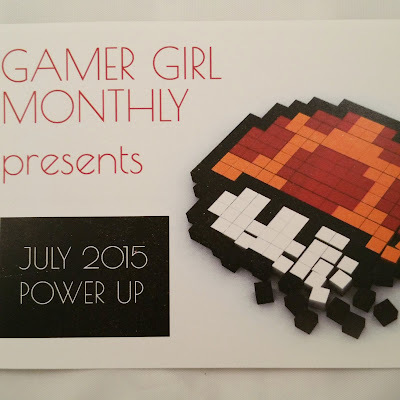 This month's theme is Power Up. Another great 'gamer' theme and it leads to some great things. 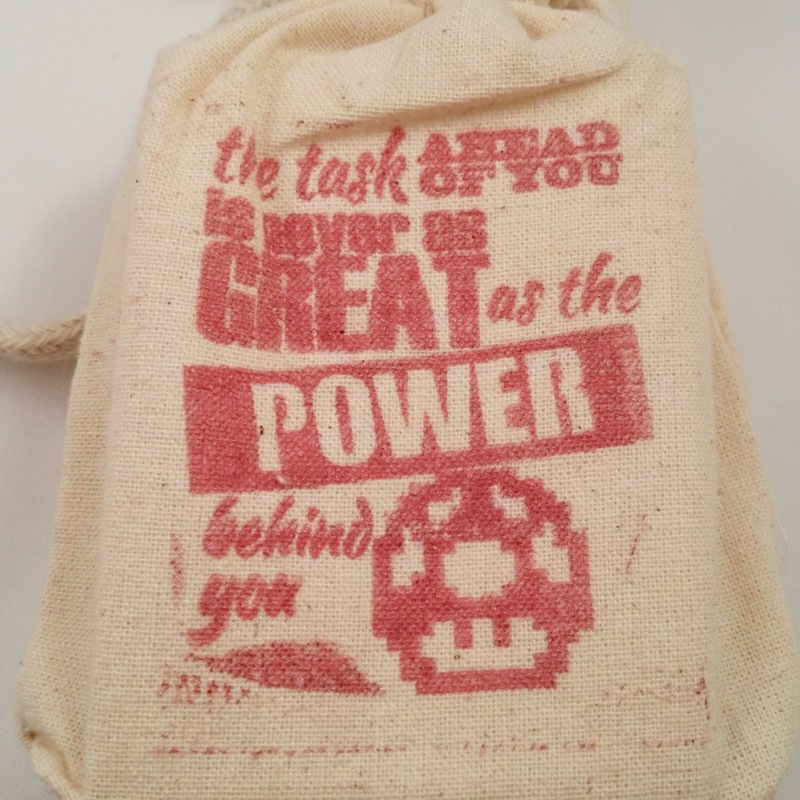 Jewelry Pouch ($5.00) - I love the uniqueness of this bag and how it's obviously not something to purchase just anywhere. The little imperfections from the stamp make it special! 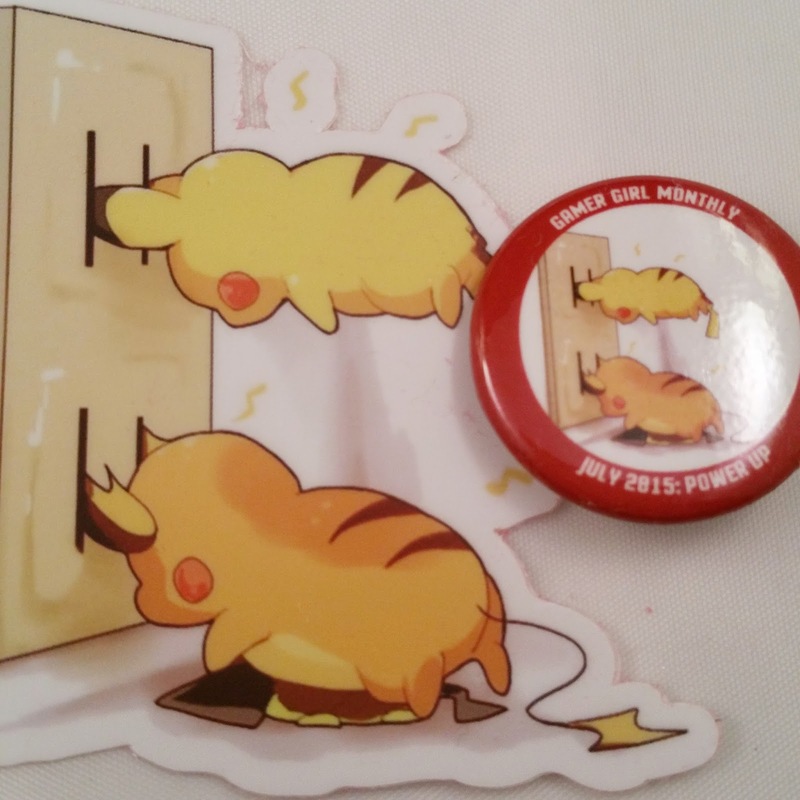 Pikachu & Raichu Sticker ($2.40) - Nothing makes me happier than that I found this for sale somewhere, and that there's tons of other designs that I would love to decorate my whole house with. It's such a cute design and definitely fits with the 'Power Up' theme! Sailor Moon Moon Stick Necklace ($15.00) - I found a variety of styles in a ton of prices, so this is a guess and no link back could possibly be given. It's really nice without being heavy or bothersome. 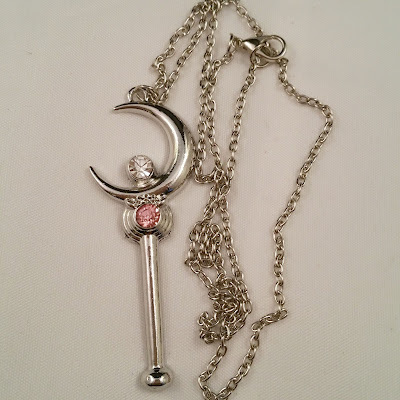 I'm not the biggest fan of bigger necklaces so this was made into a key chain, and it's perfect! 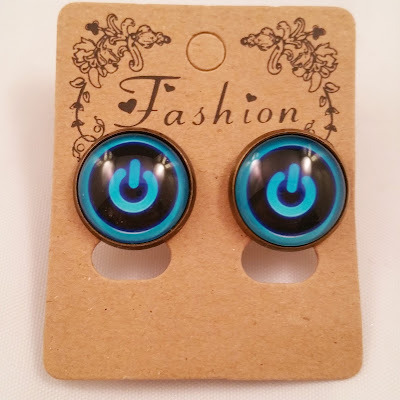 Power Button Earrings ($10.00) - This is another item that I could not find an exact match for online, which doesn't surprise me thanks to the info card saying it was custom-made. I love that these are big enough to see what they are but they aren't super heavy, so no drooping earlobes! 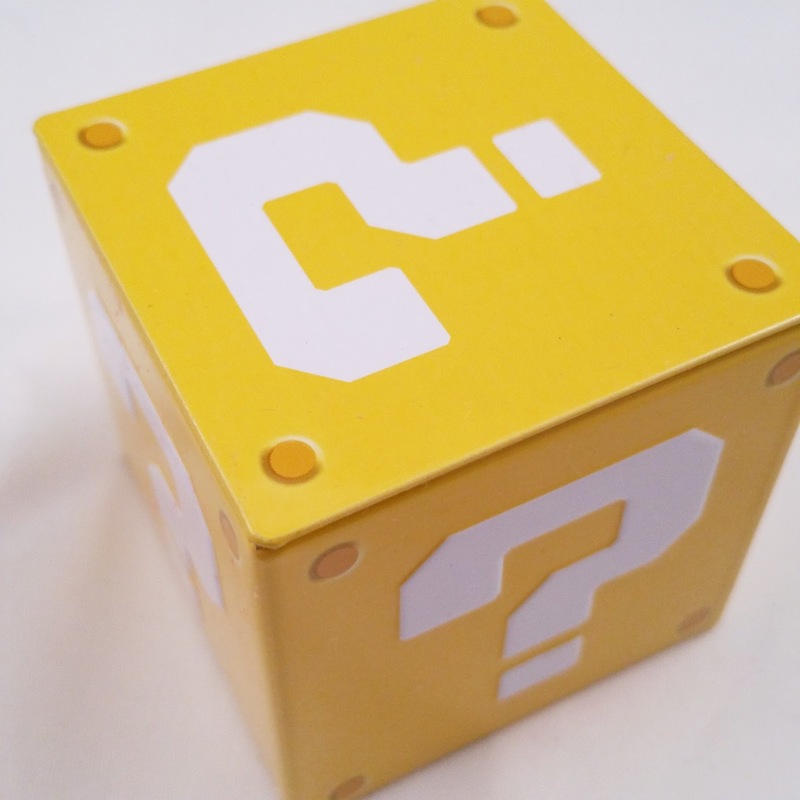 Question Box Tin ($5.00) - This box alone is adorable and the epitome of what I think of when I hear 'Power Up,' and it has candy coins inside! The candy is somewhere between a Smartie and a SweetTart, and really yummy! The box itself is metal and feels solid, rather than being something made of plastic that may or may not break easily. 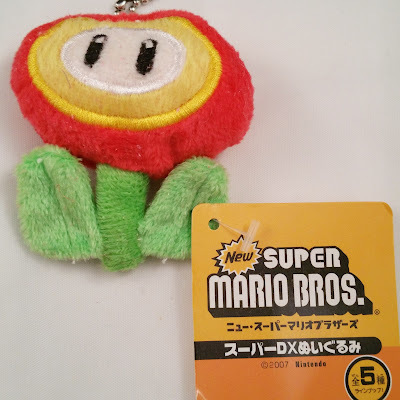 Super Mario Bros Fire Flower Keychain - ($6.00) - This is absolutely adorable and perfect for 'Power Up.' I have loved all things Mario for as long as I can remember so this just brings back all sorts of nostalgia. This keychain is really soft and definitely plush, and it has been holding up nicely so far! The estimated value of this box is $40, which is amazing! I loved every piece of this box and I love how everything matches just so well. Even if every item in the box had been bad, the sticker alone would have won me over 100 times over. 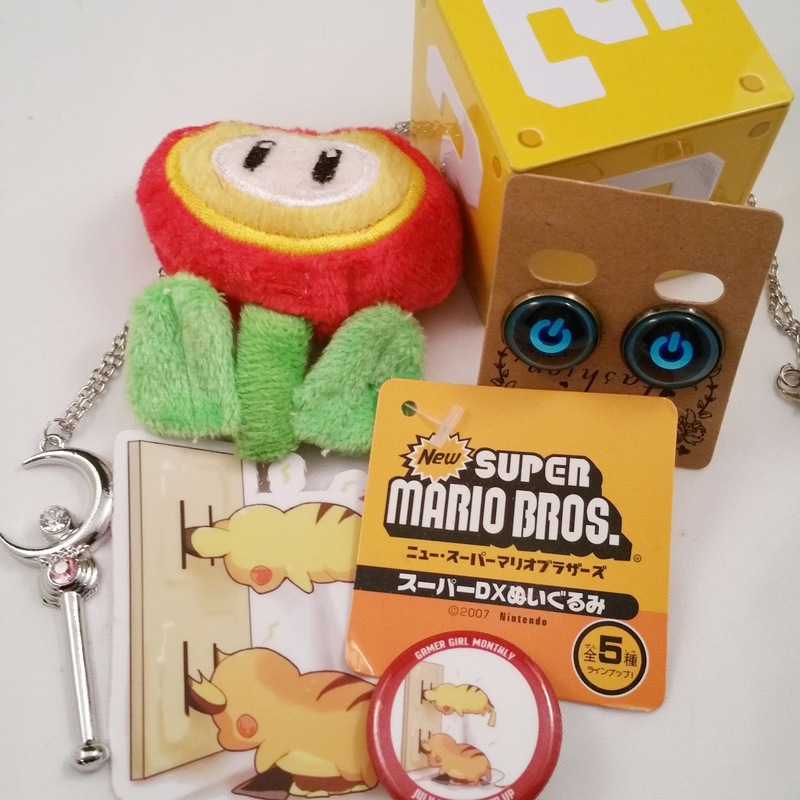 For the price, it's worth trying out and getting tons of nerdy things! The theme for August is 'Friends' and sounds so great! 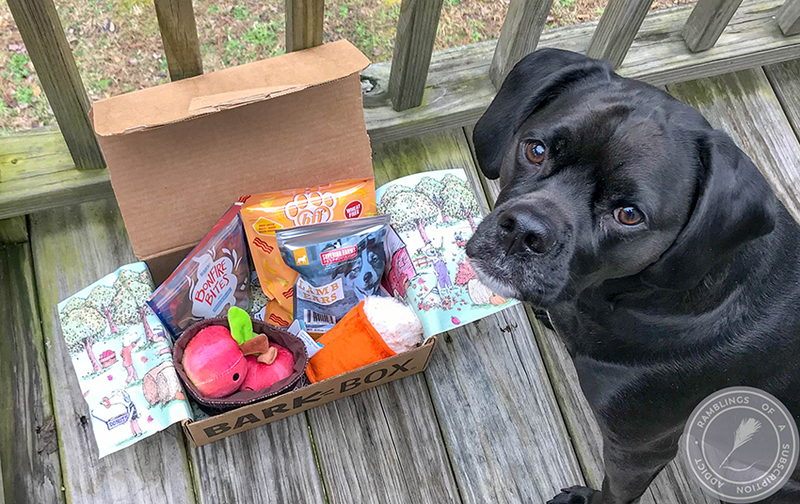 As always, be sure to let me know what you thought of this box in the comments!